Peter Howarth has GSK as a Global Medical Expert on a part-time basis in January 2015 whilst continuing a part time-role as Professor of Allergy and Respiratory Medicine in Southampton, UK. Prof. Howarth established the severe asthma and clinical allergy services in Southampton, following his appointment as an honorary consultant in 1988, and has long experience of dealing with severe asthma, which is the focus of his current research. This research spans the spectrum from basic science to therapeutic intervention studies, and Prof. Howarth participated as a Principal Investigator in the pivotal DREAM, MENSA and SIRIUS studies of mepolizumab. Prof. Howarth co-ordinates the MRC-funded Wessex Severe Asthma Cohort, a well characterised group of over 300 patients with treatment-resistant asthma, established to facilitate basic science and interventional studies in severe asthma. His basic science work makes use of direct airway sampling at bronchoscopy to obtain airway samples to understand luminal and tissue events underlying clinical disease expression and disease persistence in severe asthma. Ongoing work also includes biomarker evaluation and evaluation of novel approaches to lung imaging in airways disease. Prof. Howarth has supervised over 20 PhD and DM students (scientists and clinicians) and his research involves Local, National and International collaboration. He has participated in EU-funded collaborative programmes, such as BIOAIR and GA2LEN, focusing respectively on severe asthma and allergic diseases, and was joint work package lead for the bronchoscopy programme in U-BIOPRED, the EU-/EFPIA-funded IMI programme on severe asthma. Prof. Howarth has published over 200 peer-reviewed papers and has considerable experience at presenting at National and International specialist society meetings as an invited speaker. Prof. Howarth has contributed to National, European and International (World Health Organization) guidelines on the management of rhinitis and asthma. 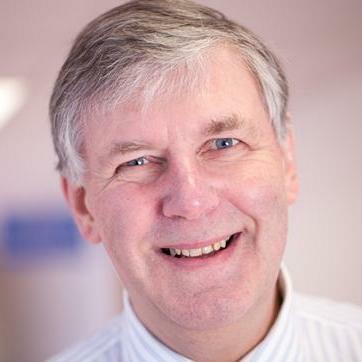 He has been on the council of the British Society of Allergy & Clinical Immunology, and has been a member of the standing advisory committee for Allergy and Immunology at the Royal College of Physicians and a committee member in the World Allergy Organisation and has contributed as advisor to major UK charities, such as Asthma UK and Allergy UK, as well as holding official roles at Allergy UK.